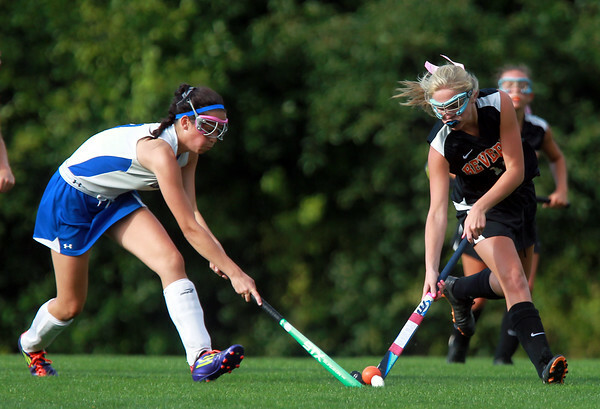 Danvers' Rhianna Leslie, left, battles with Beverly's ______ Bucci during for possession of the ball on Tuesday afternoon. DAVID LE/Staff photo. 9/16/14.